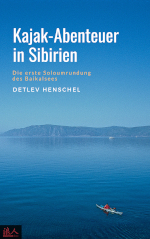 In the spring the path leads me to the deepest lake in the world, Lake Baikal in Siberia. 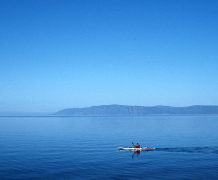 On a 2,000-km-long self-catering trip in a sea kayak I will be able to enjoy an exceptional, cold pure nature without support. The journey begins in Bremen, Görmany with the 'Russian car' of my Siberian friend Alexej and via the ferry from Rostock, Görmany to Helsinki, Finland, then via St. Petersburg, Russia to Moscow. From there, the Trans-Siberian Railway will carry us plus 150 kilos equipment directly to Irkutsk, Siberia some 8,000 clicks or so. 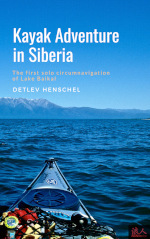 The last leg to Listvyanka on the banks of Lake Baikal were carried out by a hired taxi where the kayak were launched. 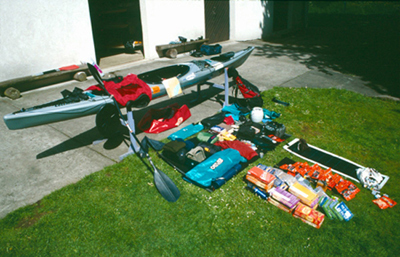 For more than seven weeks of kayaking a coffin size tent is my home and because of the limited storage space, minimalism will be one of the maxims on this trip, plus the numerous unexpected hungry Grizzlies. Nevertheless, I needed this amount of equipment, which allows me to transfer my daily progress as a blog (English / German).